One of the best and worst things about using a smartphone is that you will feel connected with that person with whom you want to feel be connected with but it also means you will be dragged into those conversations which you don’t want to participate. 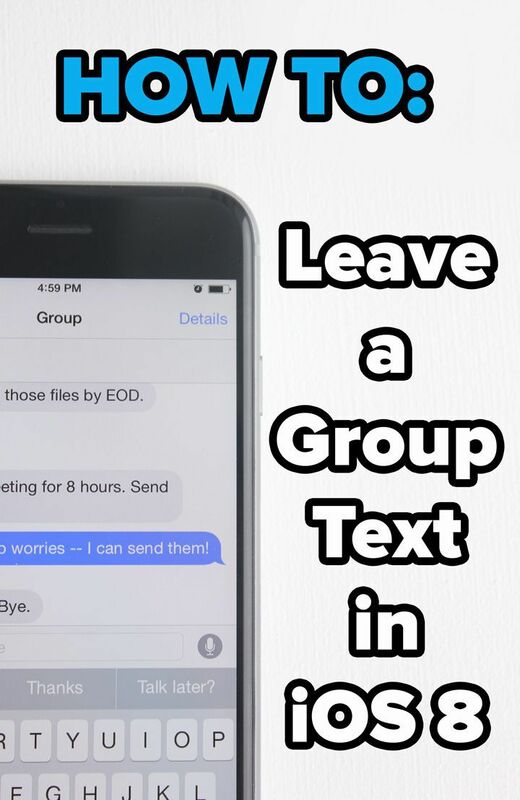 If you’re an iPhone user and you’re going through that situation then here you will find a best solution for it because I’ve seen many peoples who use iPhone searching for queries like how to leave group message on iPhone then here I’ve written some possible solutions which will definitely for those people who are searching for help on how to leave group message on iPhone 8. In the old days when we didn’t have lots of messaging apps like WhatsApp we used to share lots of things through texting and in that days it was okay to send texts because the frequency of those would be usually low which would be less bothering. But in at that time, we didn’t have some good solutions for problems like how to leave group message on iPhone 8 and if one got bothered about messages then he/she had to put their iPhone on do not disturb mode which was not a perfect solution for continuous message buzz. 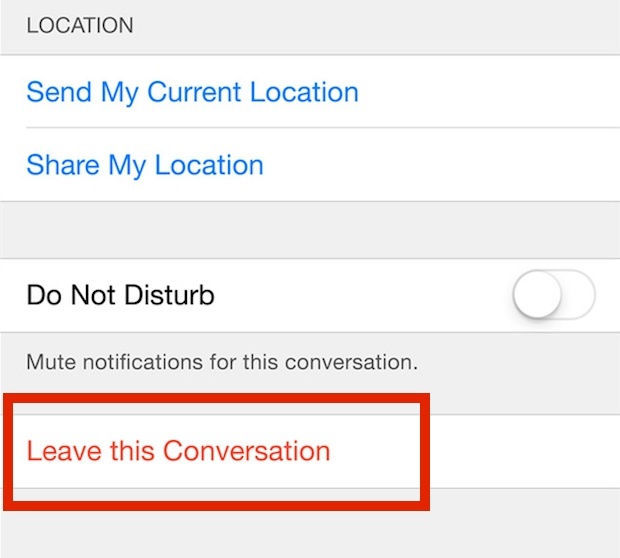 However, if you’re in that group conversation imessages which is really bothering you and you’re losing your peace of mind then I think I’ve got a solution for you and one of the best ways to leave group message on iPhone is by following these simple steps. Firstly open up the imessage app in your iPhone then go to the troublesome chat. Now tap on the details and scroll down a little bit and there you will find an option called leave this conversation and just click on it. And just like this, you will be able to get a solution for your query about how to leave group message on iPhone x or 8. Sometimes it’s better to leave those groups which don’t add any type of productivity in your life and that’s why many people get bothered whenever they see buzzing sound on their iPhone whenever someone from their group chat leaves a message. But as I said it changed lots of things which the above-mentioned solution should help you to leave the group message. Because it is said that you can leave the group message only if there are more than four members on that conversation. So it means you won’t be able to leave that group which has only 3 or less than 4 members in it. So if you can’t leave the group but still want to do that then do not disturb is the best solution for you. Now, with do not disturb you can silence the app by not allowing it to bother you about buzzing sound which is receiving from the group messaging. Now to do that just open up the messages and go to the group message which you want to silence and tap on details, then slide the do not disturb option to the “On”. Now with this settings changed you will be successfully able to turn off the group message buzzing on your iPhone but remember you will be still receiving the messages it’s just it will stop making the buzzing sound now. So this is how to leave a group message on iPhone 8 and we hope we were helpful to you to solve your issue. Sometimes this settings or methods won’t work for you if you’re using the different model of iPhone and at that time just find an appropriate solution according to your iPhone model number. Thanks for the reading and have a nice a day ahead.